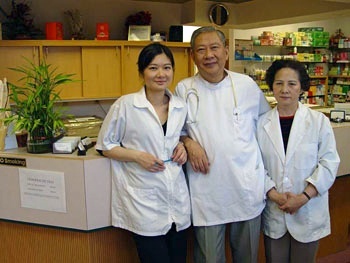 China Herbal & Acupuncture Ctr. Ltd. Through the use of natural Chinese methods, we strive to increase and optimize patient function, energy, vitality, and quality of life, thereby helping to fulfill every person’s life potential to attain happiness and success. with 50 years of combined experience, our clinic offers traditional needle and laser acupuncture with Chinese herbs combined with gentle chiropractic treatments and lifestyle advice. Accepting insurance claims related to Motor vehicle accidents, Veteran's affairs Canada, and WCB. Please check your respective insurance companies.